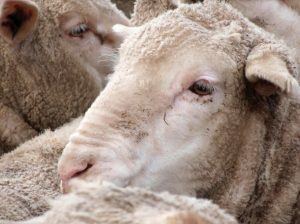 A NEW report detailing performance data from 73 Merino bloodlines will give a reliable indication of potential bloodline profitability, according to the New South Wales Department of Primary Industries. NSW Department of Primary Industries development officer, Kathryn Egerton-Warburton, said Merino Bloodline Performance 2007-2018 delivers genetic data producers can use to inform their choice of rams. “Analysis of nine individual traits and four financial indicators from 24 wether trials in NSW and one in Tasmania compared performance across bloodlines to show significant variation between the lines. “There was a strong relationship between fleece weight and fibre diameter across bloodlines, with a significant genetic variation across the fibre diameter range,” Dr Egerton-Warburton said. Merino bloodlines varied across a range of 3.6 microns in fibre diameter, 28 percent in clean fleece weight and 13 per cent in live weight with production differences translating into very significant differences in bloodline profitability.